You certainly are familiar with handmade products that now can easily be found anywhere. Of the many handmade products on offer, the products with the wooden basic ingredients are the most desirable. Speaking of raw materials, wood is indeed very identical with a wide range of handmade products. Any product made of wood will usually be easy to attract many people because of its uniqueness. For craftsmen, wood material is chosen because it is easy to obtain, cheap and easy to be formed into any product. As for consumers, wooden handmade products are chosen because they have their own peculiarities and can also create an impression of elegance, natural and environmentally friendly and durable. Well for you who are curious about what handmade products can be made from wood, Yanis Gallery have many answers. Curious? Here are some wooden handmade products that you will definitely like. For most people who have vision problems, eyeglasses are considered a must-have item to help them with their problems. But not only that, for those who do not have vision disorders, glasses are selected as a protective eye from the sun and as well as fashion. The role of glasses as a fashion is what then led to the number of models of glasses appear on the market so that glasses are no longer considered a monotonous goods and can be used by everyone. This is also what is considered by the craftsmen as a good business opportunity. Of course with a little creativity for the products they make into something unique, the result of glasses of wood raw material was created. Although made of wood, handmade glasses are guaranteed durable and not easily damaged because it is made of quality wood with a fine finish. Not only that, these wooden glasses are so light that you will be comfortable when wearing them. Who would have thought that wood can also be made into a notebook or a funny notebook. This one product is perfect for you who like to write. Notes from this wood can also be an important item that you can bring to school. Another unique item that can be made from wood is the phone case. As the world of technology and the internet grows, you will never be able to escape from your smartphone right? Well the presence of this wood case is certainly very interesting because it can make your gadget look more different from the others. Wood can be made into watches? Can be really! In fact now this wooden watch is one of the most sought after handmade products especially for fashion lovers because of its uniqueness that displays natural wood texture. You like listening to music? This one thing will certainly complement your hobby in listening to your favorite songs. 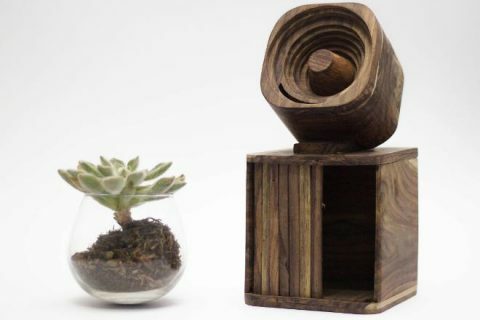 Uniquely, these speakers or speakers are made of wood. 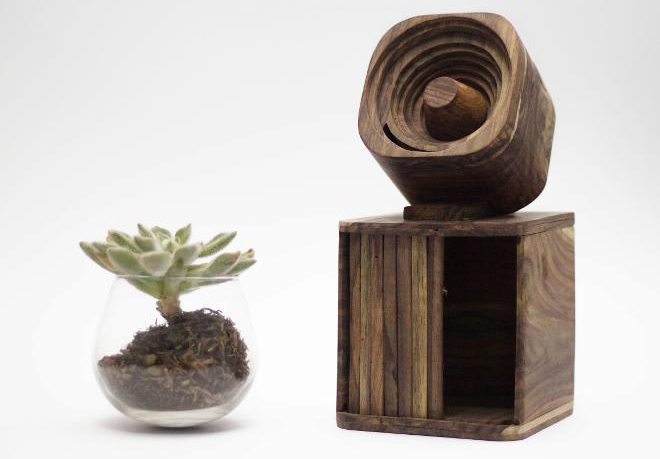 Yes, the wood also turned out to be transformed into a modern speaker that saves electricity. In order for the atmosphere of your house or room more cool, decorative lamps of wood can be your choice in terms of decoration. In addition to the lighting of the room, wooden decorative lights can cause a warm atmosphere of peace. The use of wood as a kitchen appliance is no longer new. Surely you have often seen some kitchen utensils such as trays, placemats, spatulas, knives and others made of wood. Even now many craftsmen are increasingly developing their creativity to make cutlery such as bowls, plates, spoons and forks. Want something different to accompany traveling? Wooden bag might be the right solution for you. The use of wood for bags is not yet widely used, which is why wooden bag products sound very unique and different. Speaking of handmade mats, surely you are immediately reminded of the unique mats of woven pandan leaves, rattan or bamboo. But have you ever heard of wooden mats? In addition can be transformed into a variety of equipment and useful products, wood can also be a display item that will beautify your room decor. Your product is very amazing.